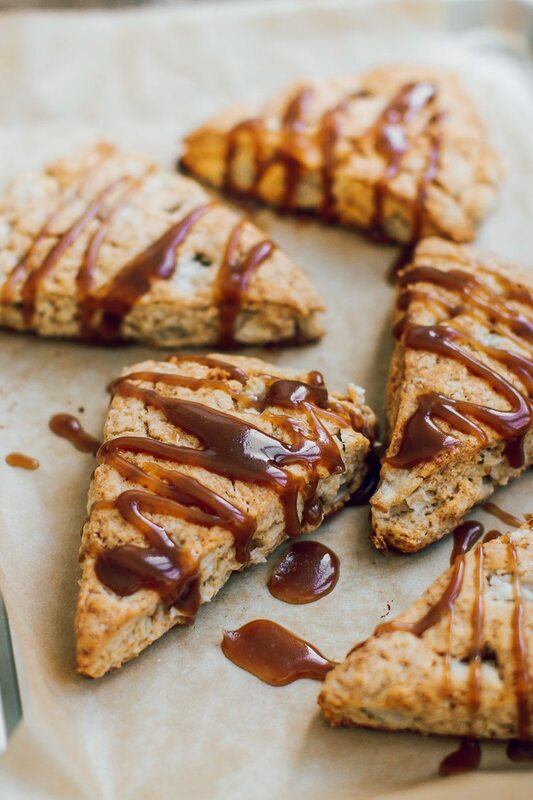 Salted Caramel Apple Scones - Pretty. Simple. Sweet. Unbelievably delicious scones loaded with apples and salted caramel – my new perfect treat for breakfast! In my recent trip to London I bought 4 random books, and apparently I tend to judge a book by its cover, as I am a total sucker for pink, girly covers. The National Trust Book of Scones was the first book that immediately caught my eye, and it was filled with a large variety of yummy scone recipes so I knew I had to get it. 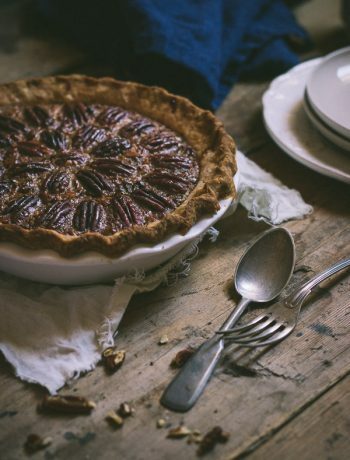 I’ve already made a few recipes from the book, and I wanted to share 2 of them with you that I really liked. 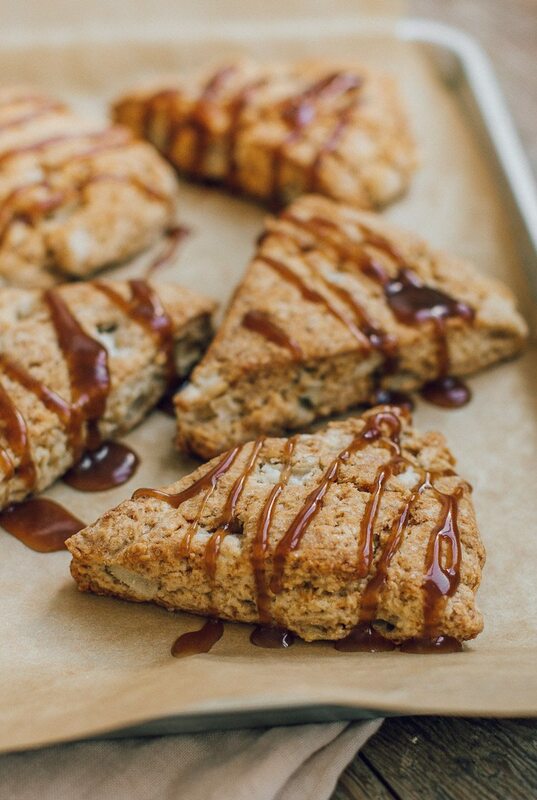 The first is this salted caramel apple scones, and the second is a triple chocolate scones, that I’m going to share with you next time. The flavor of these scones is truly amazing, and it’s such a comforting treat. 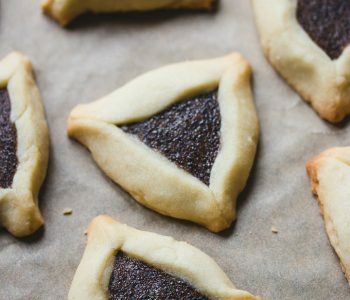 I was excited to have these for breakfast the next day after I made them, but I was too naive to think that they would last for more than 24 hours. 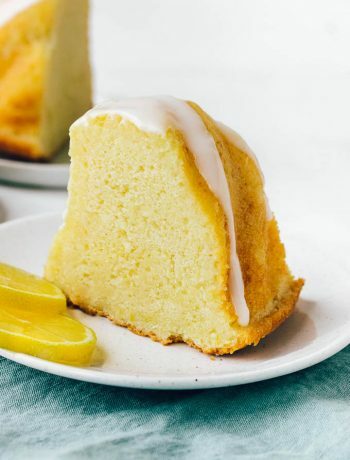 There are 2 common methods for cutting scones. 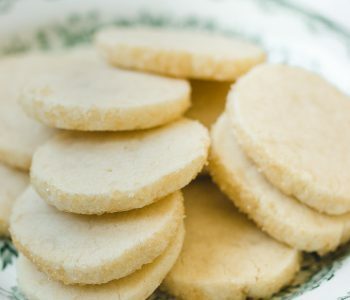 The first is traditional rounds, which are made by patting the dough into a 1-inch thick circle, then cutting out pieces using a biscuit cutter. This method will leave you with some extra dough that you’ll then need to press back into another piece and repeat the process. The second method leaves you with no leftover dough. Simply tap the dough into a circle, then cut it into 8 wedges, like a pizza. This yields 8 large scones. For 12 smaller scones, you can cut the dough into two, then pat each half into a circle and cut into 6 wedges. 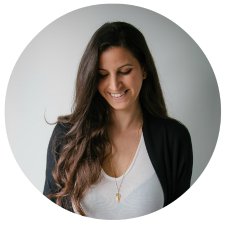 The only rule is that each circle should be 1-inch thick (or you can experiment with that and make them thinner or thicker as you like). If you make smaller scones you might need to reduce the baking time. Dough is always tricky, but don’t worry about it. If the dough doesn’t come together easily or if it’s too dry and crumbly, add a bit of water. If the dough is too wet and sticky, making it hard to handle, add a bit of flour. It’s super important to avoid overworking the dough as much as possible, though, because the less mixing you do, the softer and lighter the scones will be. Use cold ingredients when making scones, otherwise the butter will melt fast and the dough will be messy and hard to work with. I place both the flour and sliced butter in the freezer for 15 minutes, and use cold heavy cream. Preheat the oven to 375°F/190°C. Line a baking sheet with parchment paper or a silicone baking mat. Set aside. To make the caramel sauce: put the butter, sugar and cream in a pan over low heat, stirring occasionally, until the mixture thickens. Add the salt and set aside to cool. To make the scones: In a large bowl, mix together flour, baking powder, and sugar. Cut in the butter using a pastry blender or use your fingertips to rub in the butter, until the mixture resembles fine crumbs, and there are small uneven pieces of butter throughout. Peel, core, and finely chop the apple. 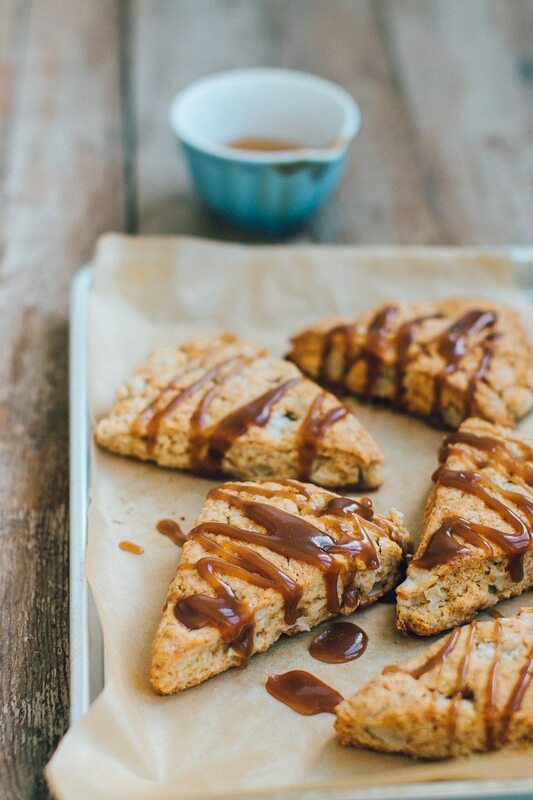 Add the apples and ¼ cup of the caramel sauce to the scone mix, reserving the rest to glaze the scones after baking. Add milk, and mix with a rubber spatula or use your hands to make a firm dough. 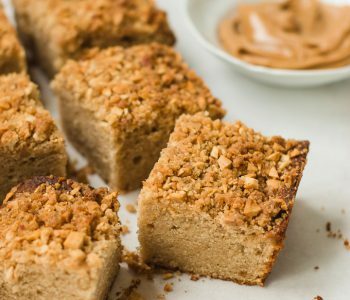 If dough is too crumbly, add more milk as needed. Don’t overmix. Transfer dough to a floured surface and pat dough into a 8-inch (20 cm) circle, about 1-inch thick. Cut circle into 8 even wedges. Place scones on prepared baking sheet, 2-inches apart. Bake for about 20 minutes until golden, cooked through, and springy to the touch. 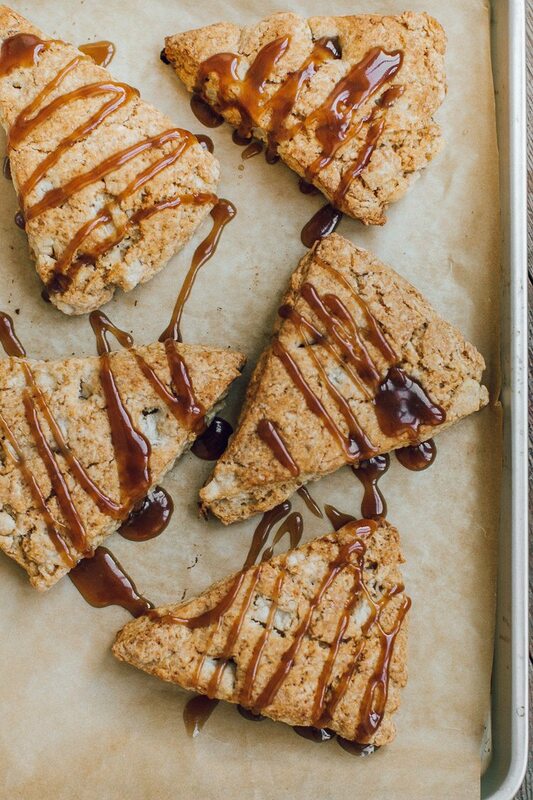 Transfer scones to a wire rack and leave to cool, then glaze them with reserved caramel sauce. Serve warm or at room temperature. Scones are best eaten the same day they are made, but leftovers can be frozen for 2 months. Reheat in the oven before serving. 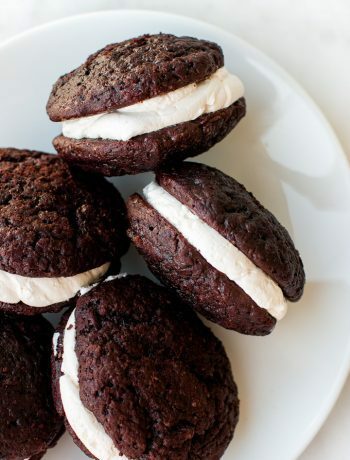 These look delicious Shiran! I love that there’s real apple in them. What kind of apple did you use? Hi Miriam, I used pink lady and granny smith. Both were delicious! 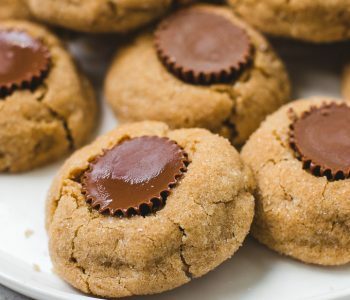 Hi can you made a video of baking this dessert ?? 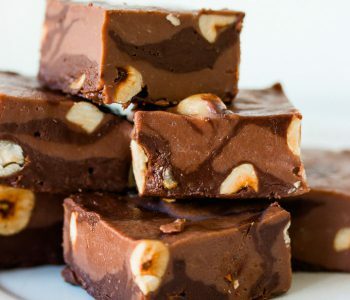 I’m super willing to try to bake this ! The ingredients list says 1 apple, but in the directions and comments you refer to apples, plural. Should we use more than 1 apple? You need to use just 1 apple.